Loving big, hearty, healthy salads as I do, I often get ideas in my head about flavors I think would taste great together. Cooler weather means the arrival of all sorts of root vegetables and winter squash, not to mention a myriad of greens. I created this nutty-tasting dressing to stand up to the flavors and textures of these cool-weather vegetables and to pair with a particular salad I wanted to make involving butternut squash. (Click here for the recipe for Butternut Squash, Chick Pea & Pita Salad.) In the meantime, I realized that this may also be a perfect option for those who cannot eat peanuts. Try this tahini-based dressing on Asian-inspired salads like my Thai Bok Choy Salad. 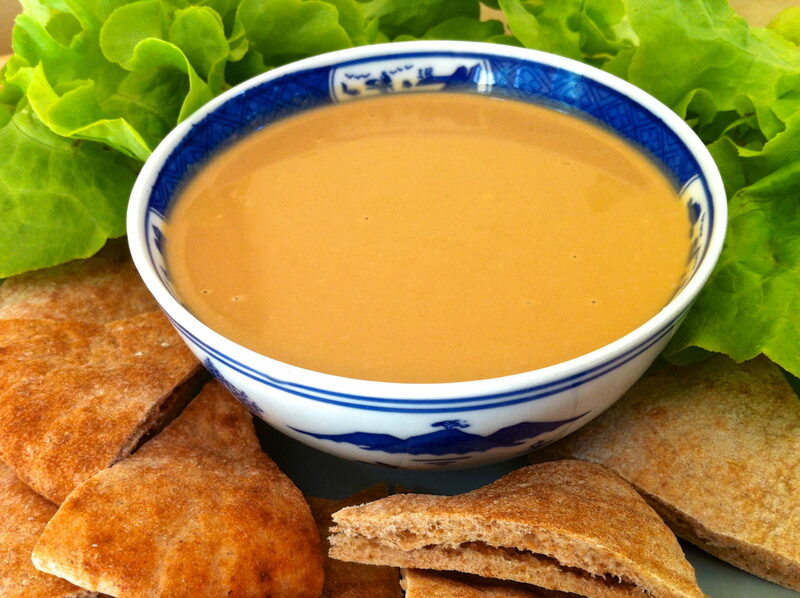 Simply substitute this dressing for the Thai peanut sauce and choose the sunflower seed option in the salad. Any leftovers are rather tasty as a dip for carrots, celery, and your other favorite raw veggies. Next, I have my sights set on pasta! Combine all ingredients well and store in refrigerator. Best if made at least an hour or two in advance to allow the flavors to meld.